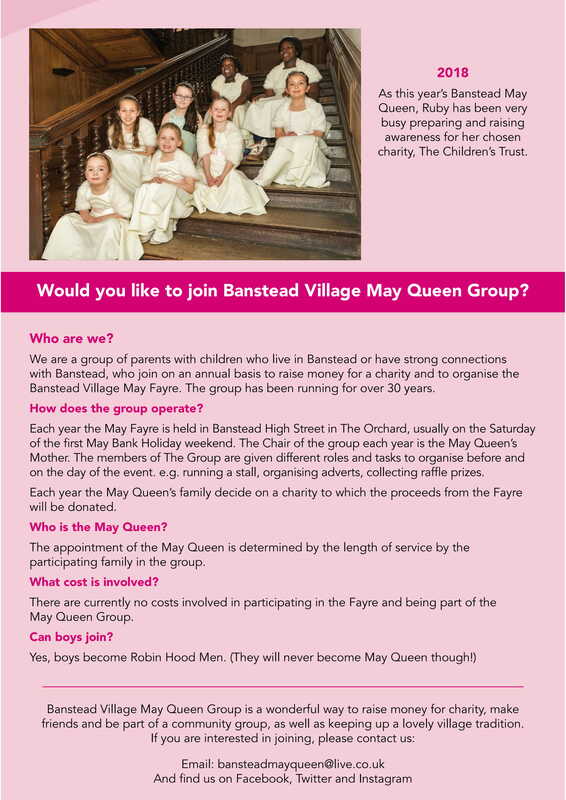 The Event is organised by the Banstead Village May Queen Group who are parents of children who live in and near Banstead and who may have strong connections with Banstead. This event is truly a community event with many shops, businesses and local groups being involved in the day as well as the local schools. The day is generally attended by 3k -5k people and these families of the children parading/displaying and the general community who want to attend the biggest annual community event of the village.